If you're a dentist or dental product manufacturer, I have industry experience. 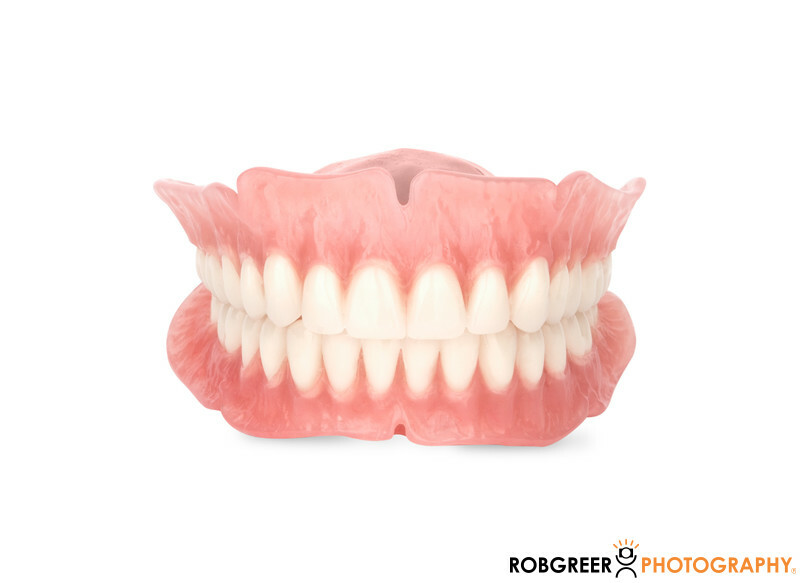 One of my regular Los Angeles clients offers dental materials to dentists and so in this example you'll see a full set of dentures. My main goal when I was photographing this product was to ensure that I maintained detail in the gum area while illustrating the opacity of the materials involved. It was also important to show accurate colors which is part of my job as a product photographer. I enjoy showing this photograph in my portfolio because of the shock factor of seeing a set of dentures so large on the screen. 1/160; f/20.0; ISO 100; 105.0 mm.